The world's most basic Excel book. 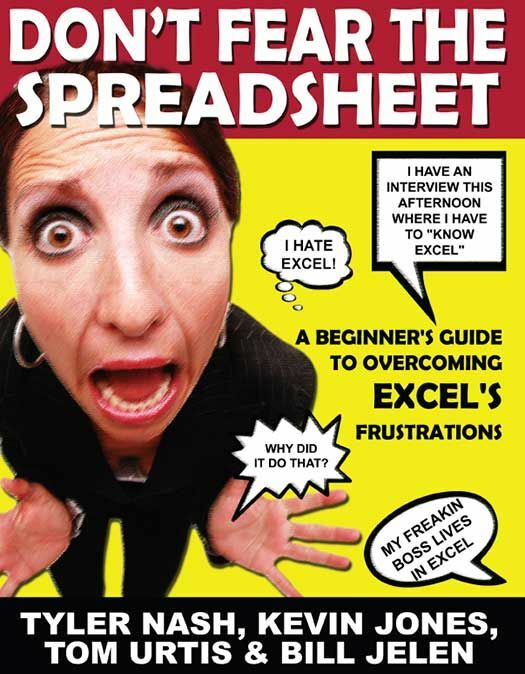 If you have a job interview where you have to "know Excel" this afternoon, but this book this morning. Written in a question-and-answer format, this lowest-level beginner book covers the extreme basics of using spreadsheets in Excel. Instead of delving into advanced topics that scare most Excel novices away, the guide starts at a much more basic level, quickly providing a passable knowledge of the program and allowing users to overcome their fears and frustrations. It answers hundreds of common questions, including Can I delete data from a spreadsheet without changing the formatting? How can I merge two cells, columns, or rows? How do I use text-wrapping? How do I create custom functions? and What is a Macro and how do I go about creating it? Intended for the roughly 40 percent Excel users who have never even entered a formula, this book will demystify the problems and confusion that prevent them from using the program to its potential.